The AJA Tabletop Stand allows you to place the Ki Pro Mini Flash Disk Recorder upright on a desk, shelf, or any flat surface. Using this stand, you can also clamp or zip-tie the Ki Pro Mini in unorthodox locations. 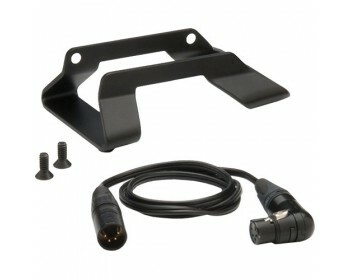 In addition, this stand comes with a right-angle 4-pin XLR power cable for connecting your Ki Pro Mini Recorder to a power supply. Normally ships in under 7 working days but may be subject to variation.